Yesterday, you saw the beginning stages of a green building project designed by Danny Forster, host of Build it Bigger & Extreme Engineering on the Discovery Channel. The finished Omena Lake front home is truly spectacular. Two features that are of particular interest are the extended deck / living room area and the eco-roof. In fact, Danny even shows you how eco-roofing is installed. I have to say, I learned a lot about green building and design from Danny. When he explains how they analyzed the wind patterns of the area to position the home in such a way that wind would keep the home cool throughout the day, I was blown away (pun very much intended)! I was also thankful that Danny gave such a clear and concise description of how eco-friendly wood is cultivated and harvested. This is important to note because according to Danny, he used certified FSC wood throughout the home. So, all of the ipe decking you see comes from sustainable forestry practices that have been monitored by the Forest Stewardship Council. Why did he use FSC Ipe Decking? If you recall, Danny is trying to get as high of a LEED rating as possible. In fact, because of all of the brilliant designs ideas and the eco-friendly products that he used, Danny has told me that the home received LEED Gold status. That’s pretty significant because this home is only one of seven in all of Michigan to receive that level of LEED certification. We hope that this home inspires you to use green building materials and techniques. Finally, for those that think that green building is expensive, think again. Danny specifically makes the point that building this green home, even with all of its features and eco-friendly wood and materials, cost the same as any home in the area. Also, thanks to Danny Forster for taking the time to answer my emails and for the information he provided. This entry was posted in Deck Design, FSC Wood, Green Building, Ipe Decking, LEED Certification and tagged Eco-friendly wood on August 28, 2009 by Mr. Ipe Hardwood. Today’s Deck Design of the week is a two-parter. We’re going to look at the before and after phases of building a green home that has some wonderful sustainable and eco-friendly features. The mind behind this home’s beauty is Danny Forster, host of Extreme Engineering and Build it Bigger on the Discovery Channel. He’s also a Harvard grad and, as evidenced by the lake front home in Michigan, a heck of an architect. Today, we’re going to see Danny take you through a behind the scenes look at how a Green home is constructed. This Omena Lake front home is also going for either Gold or Platinum LEED certification, so you can tell that there are some serious and revolutionary design and architectural elements being used for this home. As you can also see, there is no shortage of ipe being used in this home. 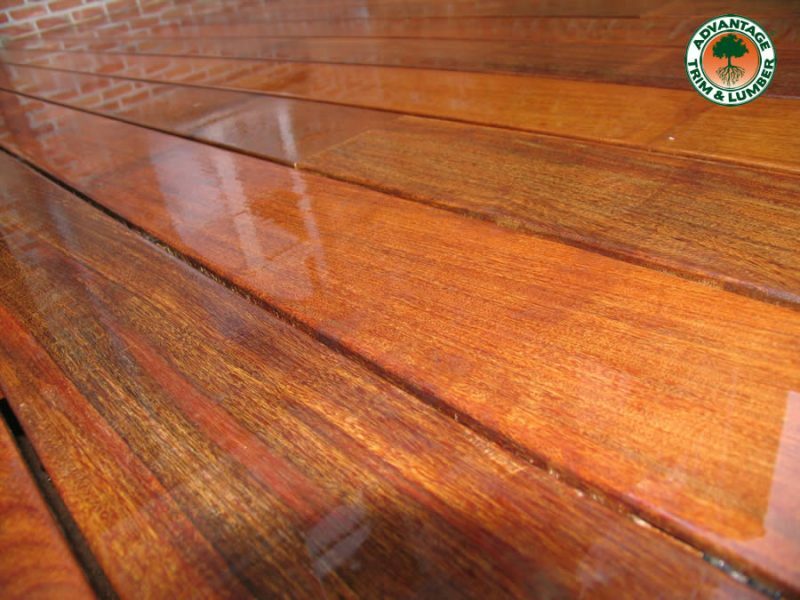 Danny Forster has used both ipe decking and ipe siding in ways that are, at once beautiful, but also eco-friendly. Tomorrow, we’ll see the finished product. If you’re planning to build a green home or are curious about LEED for homes, you’ll definitely want to take notes. You’ll also get some wonderful design and energy-saving ideas that are truly unique. This entry was posted in Deck Design, Green Building, Ipe Decking, Ipe Siding, LEED Certification and tagged Eco-friendly wood, LEED, LEED Credit on August 27, 2009 by Mr. Ipe Hardwood. By now, you should know that I am a sucker for great home designs. Unfortunately, where I live, practically every house looks the same (ugh!). So whenever I come across a unique home, or architects that are stretching the boundaries of what an American home can be, I just have to stand up and applaud. All the more reason why this week’s Deck Design of the Week feature focuses on a pair of brothers who, in my opinion have taken ipe and embraced it as the sustainable, elegant, and functional wood that it really is. Terry & Terry Architecture is a firm out of San Francisco and they have created some wonderful homes that feature ipe wood. Recently, the San Francisco Chronicle interviewed Terry & Terry Architecture and it’s not hard to see their passion for great home designs. While the article has some great photos, their personal website has an even greater variety of the work that they’ve done. Check out how they use ipe wood to its fullest potential. You may even be inspired yourself! As you can see, it’s hard to single out just ONE of their many great designs. The cool thing I like about them is how many different ways they’ve used ipe. Looking through their site, you’ll see how they used ipe for siding, decking, and even walls. As always, Advantage Trim & Lumber is your one-stop source for all things ipe. Whether you need Brazilian Walnut flooring (ipe flooring), or ipe decking, we provide homeowners, deck builders, and architects premium grade ipe wood at prices that simply cannot be matched. Don’t forget, not all companies offer ipe that has been sustainably cultivated and harvested. Be careful before you throw money at lumber companies that say they sell eco-friendly products without backing it up. We have our FSC certification and can sell eco-friendly wood. This entry was posted in Deck Design, Ipe Decking and tagged Deck Design, Eco-friendly wood, FSC Wood on August 6, 2009 by Mr. Ipe Hardwood. In the world of home design and architecture, there are certainly some wonderful uses for ipe that even I haven’t thought of! I’ve been doing a lot of research online to see what exactly savvy homeowners and architects are doing with this versatile, dependable, and luxurious exotic hardwood. To say that I was inspired would be a complete understatement! To start things off right, let’s take a trip to the Pacific Coast where a truly spectacular display of modern architecture is currently facing the setting sun. Sebastian Mariscal has designed some truly awe-inspiring modern homes and has received many awards and recognition for his work. One of his home’s even features a second story that is covered in ipe hardwood! 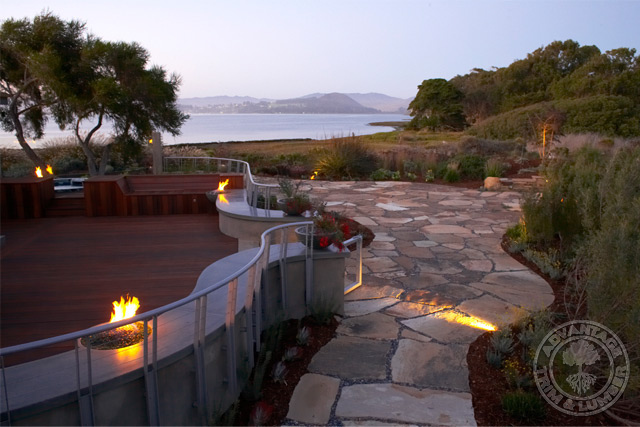 You can see pictures of how Mariscal used ipe siding for this truly unique beachfront home. This entry was posted in Deck Design, Ipe Decking, Ipe Siding and tagged Deck Design, Eco-friendly wood, FSC Wood, ipe deck on July 30, 2009 by Mr. Ipe Hardwood.